Not many things are more refreshing than the fresh, ripe flavor of orange juice. Hawaiian Shaved Ice has created a snow cone syrup flavor that reflects that same great taste. No need to worry about orange seeds in this tasty treat! 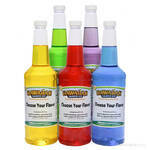 Our orange juice shaved ice flavoring is the perfect refreshment for your family and friends. 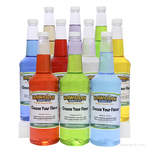 Treat everyone to a fresh �squeezed� from the bottle, orange sno cone! 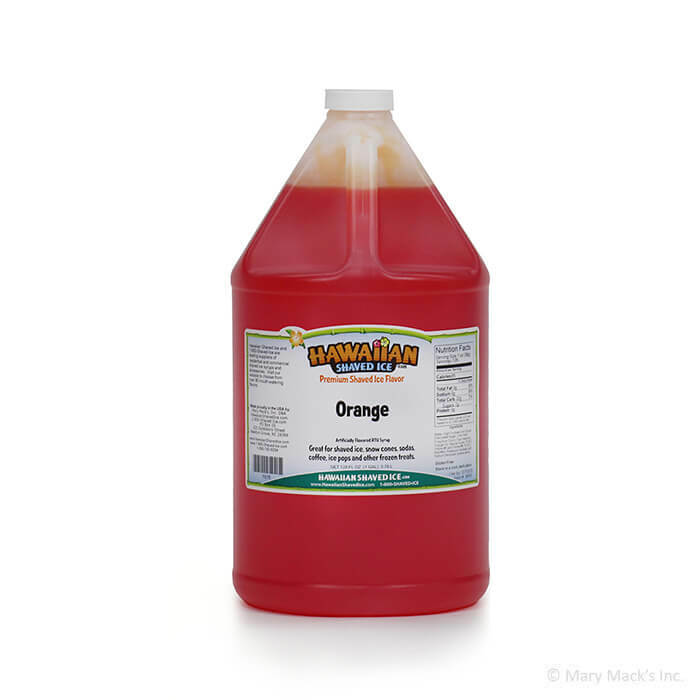 Cover your next snow cone in this tasty orange syrup and enjoy the invigorating taste of fresh squeezed oranges, a flavor that everyone knows and loves. For your convenience, buy this flavor in our gallon size, so that you can share the freshness with your friends! 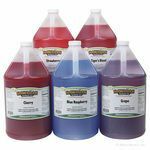 We have this flavor available in quart sizes and in our assorted packages as well, so that you can combine more of your favorite Hawaiian Shaved Ice syrup flavors!